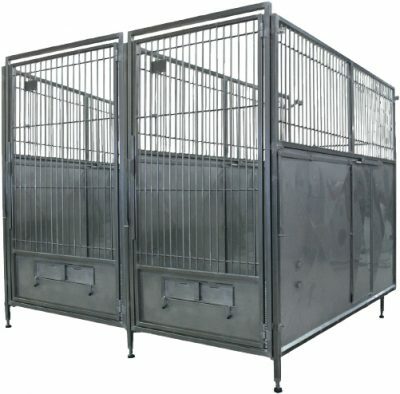 From our Modular Animal Caging System (M.A.C.S.) 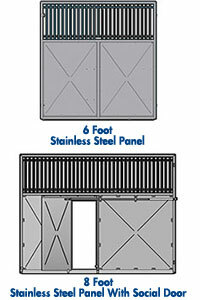 line of housing solution products, the modular large animal runs from Alternative Design allow you to customize from a wide selection of options to fit your facility including door, side, back, floor, assembly and other options designed to help you build the perfect modular solution to house your dogs, swine or sheep. 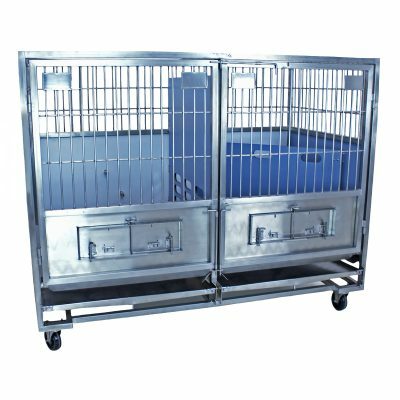 The modular run system allows an animal facility to choose from a menu of available panel components to create run sizes of 18, 24 and 32 square feet. 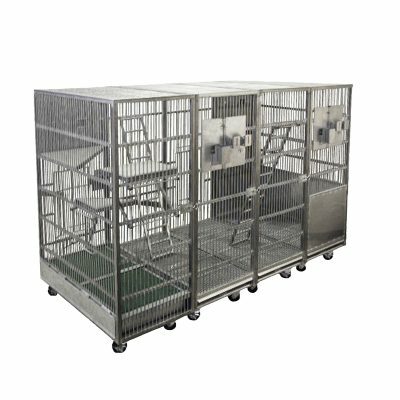 A broad selection of options such as doors, floors, feed, water, socialization and metabolism have been designed into the run system. 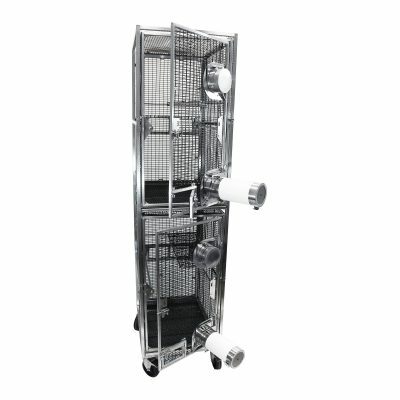 The modular design provides flexibility for the vivarium to create a run program that best meets their needs while saving the facility both time in delivery and initial investment costs. Future changes to the runs are also more readily accomplished by the modularity. 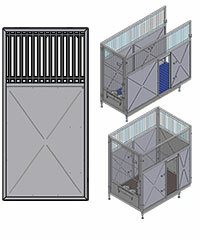 The Alternative Design Large Animal Run is designed to house dogs, swine and/or sheep. 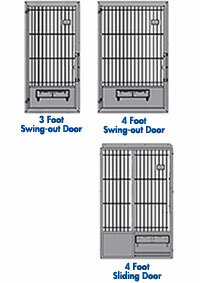 When designing rooms for the modular runs use 37″ on center widths for 3 ft wide runs and 49″ on center width for 4 ft wide runs. 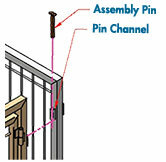 This allows a 6″ to run width as a safety margin. 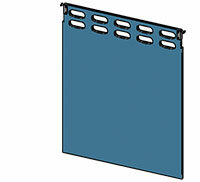 Click on the “Specs” tab to browse our selection of standard panels & options. Trespa® is a registered trademark of Trespa International B.V. 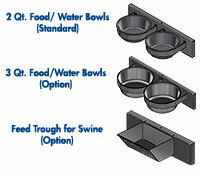 Choose from the following options to complete your modular large animal run.